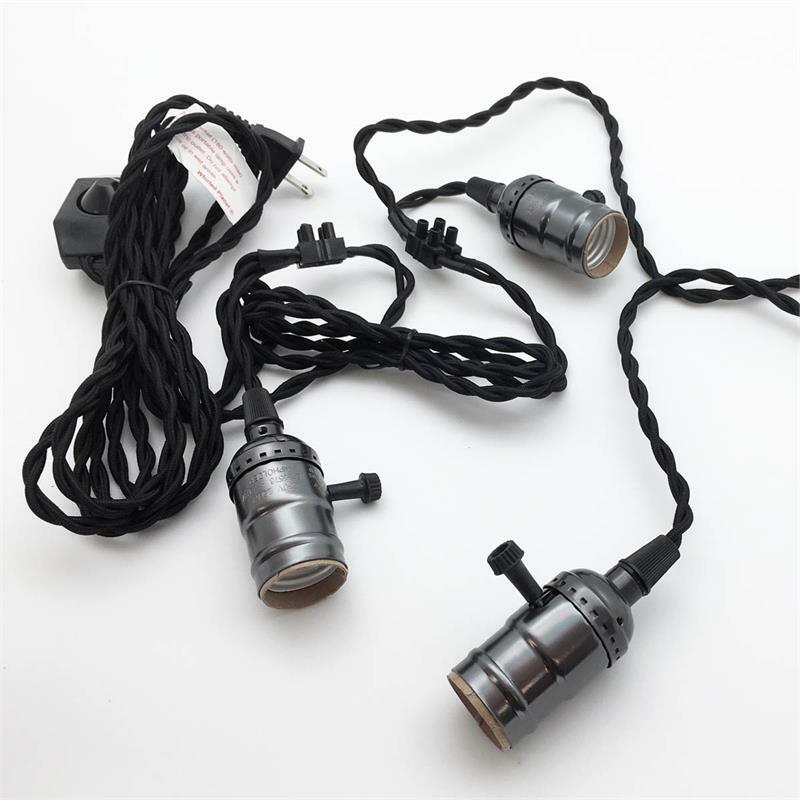 Get that charming vintage look with our 17' black three socket pendant light cord with dimmer and a black twisted cloth cord. 129" between plug and socket 1. 36" between socket 1 and socket 2. 34" between socket 2 and socket 3. Socket 2 hangs down from main cord 3". Dimmer knob is located between the plug and socket 1. It is placed 38" from plug and 88" from socket 1.